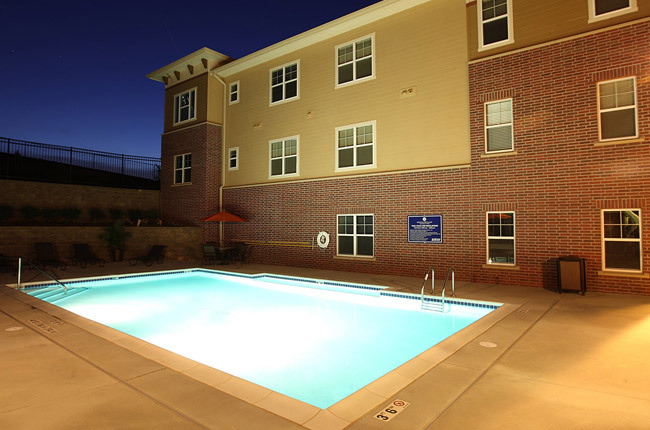 Enjoy the unparalleled living of Montclair Village, the premier apartments in Omaha, Nebraska. At Montclair Village, our community offers a peaceful, cozy atmosphere alongside our outstanding amenities, providing a full range of comfort that caters to your individual lifestyle. Our one, two, and three-bedroom apartment homes feature sleek, modern interiors that are both energy-efficient and stylish, granting you the maintenance-free experience of community living with a side of upscale luxury. All of your needs, wants, and desires are available right outside your front door with major shopping, dining, and outdoor recreational opportunities within walking distance of our welcoming community. Our on-site amenities such as our saltwater swimming pool, 24-hour fitness center, and cyber café are ready for residents to enjoy. With so many options for enjoyment, you'll have everything you need at Montclair Village. Call and schedule your personal tour with our friendly leasing team today! With a convenient location, Montclair Village grants residents with seamless access to all the shopping, dining, and nightlife of our vibrant neighborhood. The Montclair Shopping Center and Westwood Plaza are both within walking distance, making your errands effortless with supermarkets, department stores, and specialty shops nearby. Retail options don’t stop there, with the endless options at Oak View Mall, Village Point, and Westroads Mall minutes away, offering the hottest brands to keep your wardrobe fresh. Whether you prefer the great outdoors or more cultural entertainments, it’s nearby at Montclair Village. We feature close proximity to Zorinski Lake and Elmwood Park, as well as the Westwood Golf Course, AMC Cinema, and the shops and galleries of the Old Market neighborhood. Grab a bite to eat at Mahogany Prime Steakhouse, Shuck’s Fish House & Oyster Bar, or Bone Fish Grill. No matter what piques your interest, you’ll find it nearby at Montclair Village, the perfect place to call home!